What's Up With This 'Xbox Infinity' Stuff? 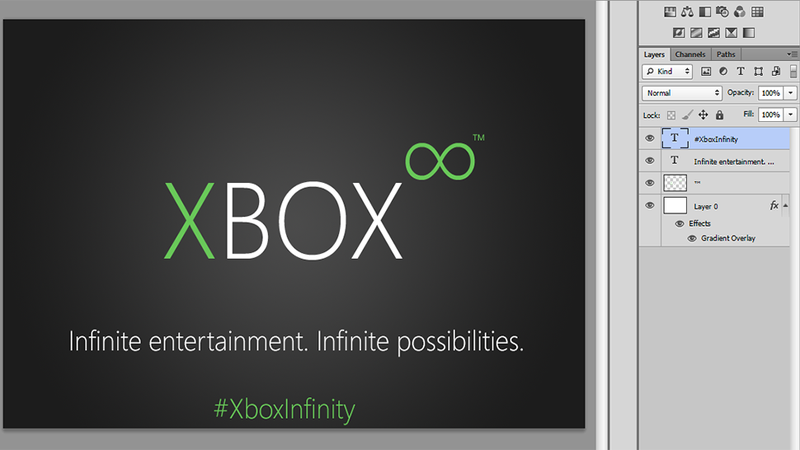 Maybe you've seen the name "Xbox Infinity" floating around on the Internet this week. Maybe you've been wondering just what people are talking about. Don't worry: we're here to help. Let's address some Frequently Asked Questions. Is that the real logo for the next Xbox? Nope. It's a Photoshop by a Redditor named C-Ron. So why do I keep seeing it everywhere? Because it is an image on the Internet, and images on the Internet never go away. Also, because a lot of people are talking about Xbox Infinity this week. Where did "Xbox Infinity" come from? Umm... well, really, the name has been floating around the web for months now, along with Xbox Infinite, and Xbox 8 (trademarked by Microsoft last year), and Xbox Fusion, and Xbox 720, and Xbox [INSERT WHATEVER]. Why are people talking about it this week? International Business Times UK reported earlier this week that their sources told them the next Xbox is called Xbox Infinity. They also posted the above photo along with the caption "The Xbox Infinity logo that was leaked on Reddit," which kind of calls into question the entire article, since that logo is a fake. Is Xbox Infinity really the name of the next Xbox? We don't know. If you hear something, let us know. Why do they call it Xbox Infinity? Because when you see it, you turn infinity degrees and walk away. You're very welcome. We'll see the new Xbox on May 21, and we'll probably find out what it's called then. Stay tuned.